The mini leopard print strikes again! This time it's a soft pastel version. 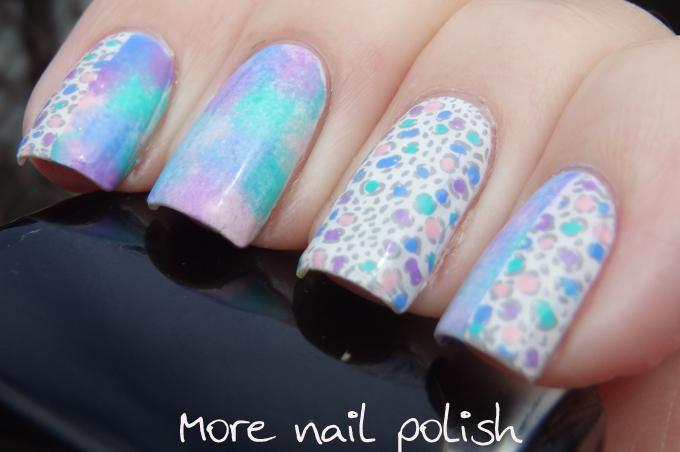 I used a sponge to create a mottled pastel design using Picture Polish swagger, chillax, wisteria and cotton candy. 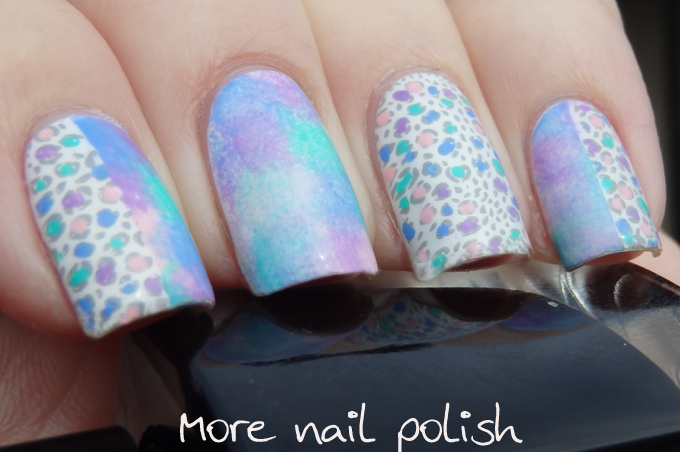 I stamped using Winstonia W101 plate for the mini leopard design using a grey stamping polish I mixed up by mix Mundo de Unas black and white stamping polish. 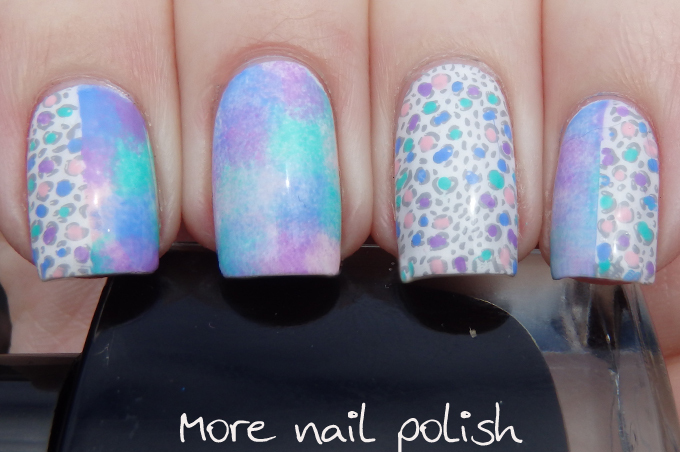 Very pretty and interesting nail art! 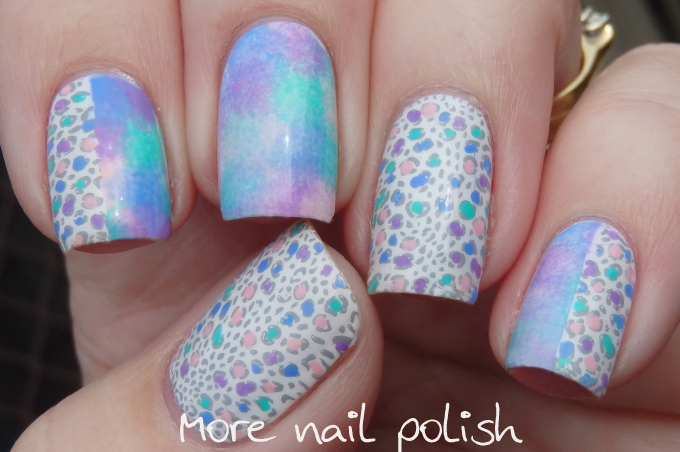 This is super pretty. I love it!